Yeah, can you believe it this is my third peach recipe in the last couple of weeks? 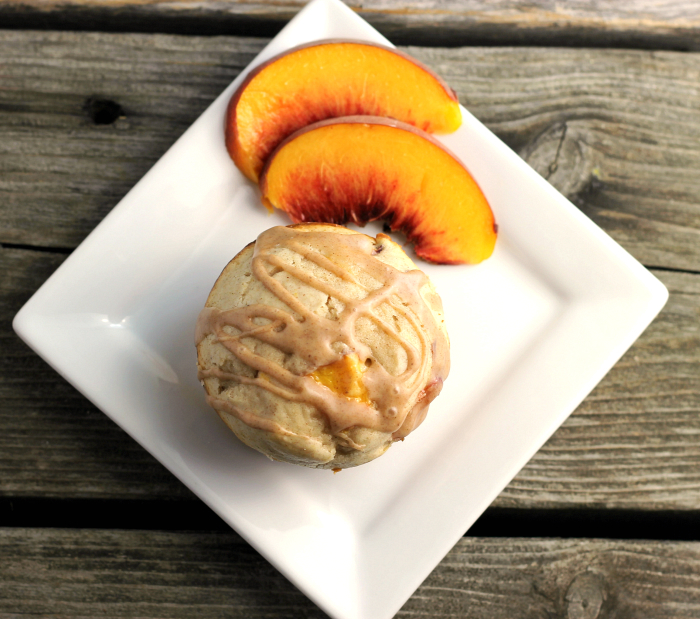 I am trying to pack as many peach recipes in before they are gone. And as we all know they will be coming to an end before we know it. As I mentioned in my last post we had our grandchildren over the weekend. On Monday our granddaughter started preschool. Her parents had gotten back very late on Sunday evening, so they asked if Mike would take her to school. Her parents met Mike and our granddaughter at school, so they could see her off to her first day. Unfortunately, I had to go to work, so I missed out on all of the fun. Our granddaughter was so excited that morning. Later in the day we spoke to our daughter and found that our granddaughter had a wonderful time at school. The only thing she couldn’t understand is why she can’t go every day, instead of just the two days a week she is scheduled. 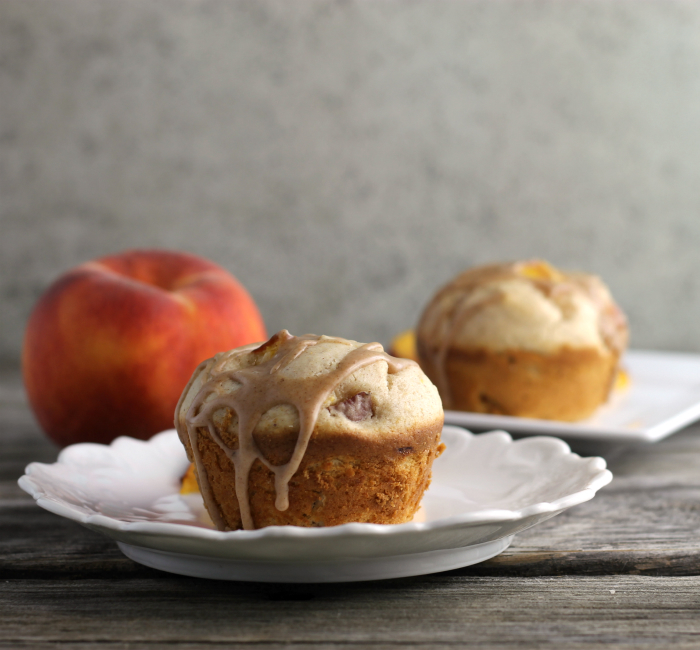 Now that school is back in session these cream cheese peach muffins would be perfect for a quick breakfast. Oh, what the heck they are the perfect breakfast even if you don’t have kids in school. They would be wonderful to eat with that cup of coffee or tea while reading the paper or whatever you’re routine is in the morning. 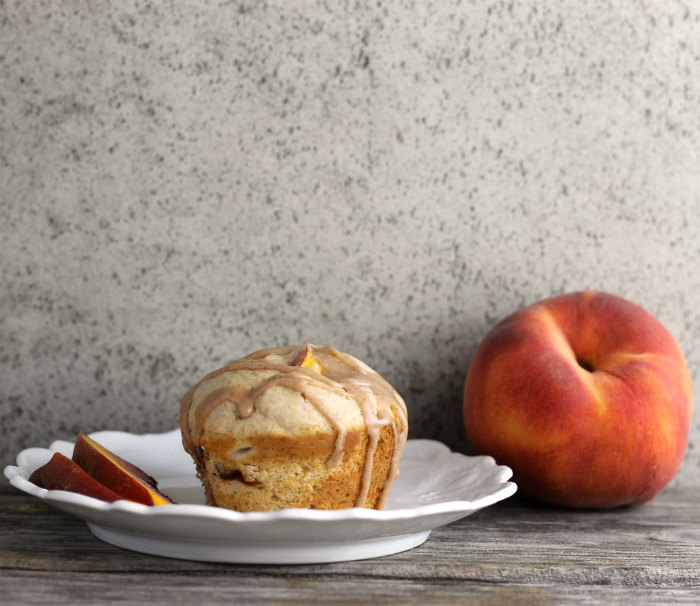 Fresh peaches, cream cheese, cinnamon make these flavorful and moist. I topped the muffins with a cinnamon icing because there is something about icing and my family. Yeah, they like their icing. 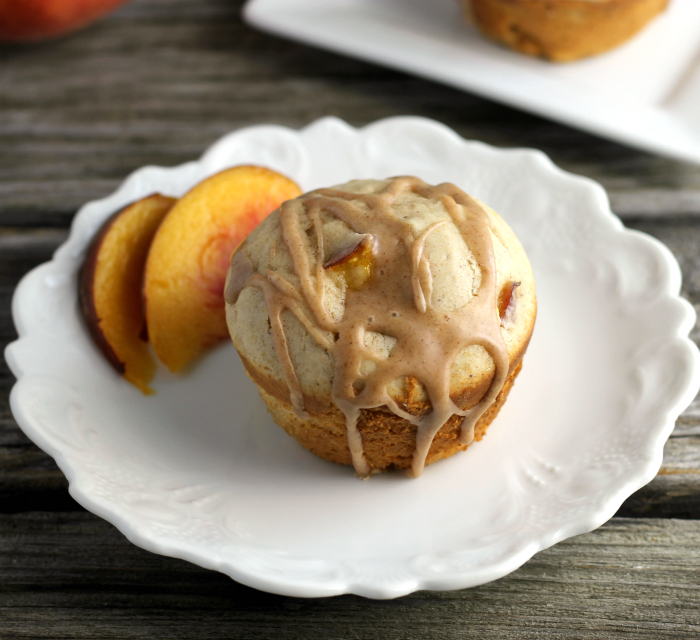 I would highly recommend that you try these peach muffins before the season is over. In a medium bowl cream cheese and sugar with an electric mixer. Add butter and mix until light and fluffy. Add one egg at a time mix until mixed in. Combine the dry ingredients together. Add half of the dry mixture to the wet mixture. Mix until the flour mixture is mixed in. Add the milk and mix in. Add the remainder flour mixture and mix until well combined. Spoon mixture into prepared muffin tins. Place into the preheated oven and bake 14 to 16 minutes or until the muffins spring back when lightly touched. Remove from muffin tins and cool completely. Add the powdered sugar and cinnamon and mix together. Gradually add the milk until you have the right consistency. If you are icing these muffins, they are best eaten fresh. The icing will get a little runny if they sit for a long period of time. Or you may drizzle with icing as you eat them. Peaches have been good this year — hard to have too many! This looks wonderful — thanks. Look wonderful Dawn, love peach !! These muffins are great for any occasion, any time of day! Love the combo of cream cheese and peach. Cream cheese in muffins? Brilliant! I love, love, love me some peaches.